Smart Pigs and oil rigs? Oil and gas is risky business and falls amongst the highest insured industries.Treacherous terrain, perilous operations and extreme environments cause ever increasing hazards. However the use of artificial intelligence is increasing steadily. Sensors, automation and mechanics are key elements in risk aversion, making extraction and transportation safer and quicker. 'Robots can go where no human can'. This evolution and advancement in technology can provide an instant return investment and aid in long term sustainability. But technology comes at a price, and for an industry struggling in profits and increasing staff cut backs, companies have a big decision to make as tried and tested methods may not provide a viable future. Energy companies are required by law to inspect their pipelines and they use a variety of technology to do so, including devices known as smart pigs. But these pigs can only inspect certain portions of the pipes, leaving thousands of miles of pipeline that have never been inspected. Diakont, a Russian company with a hub in San Diego, thinks it has a solution. 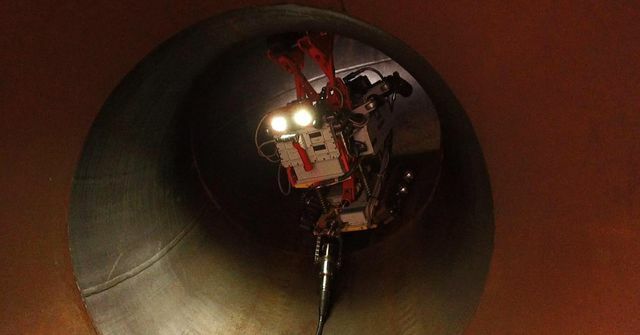 It's developed a robot that can crawl into "unpiggable" parts of a pipeline.